Over/Under: Over 152 at 1.90 Bet Now! A game between two teams who have a 1-3 record may see both sides lacking in confidence but both sides will realise that this is a chance to bounce back and get their season back on track. The changing of the head coach at the hosts will have an impact on the game and it’ll be interesting to see how both sides respond. The hosts have sacked their head coach Guy Goodes, and Avi Even has come in to replace him on a temporary basis. This could give the Israeli side a temporary lift, which is definitely what the club needs. 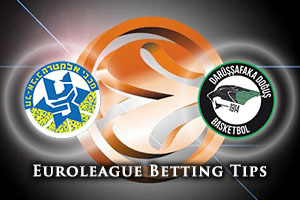 Maccabi will be looking to Taylor Rochestie and Jordan Farmar to turn up and perform strongly in this one. Farmar will be coming up against his team-mates from last season but he’ll know that he needs to be the one celebrating at the end of the evening. 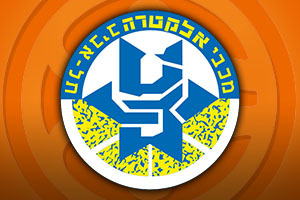 You can never tell how a team will respond after sacking the head coach but the Maccabi fans have to hope that they respond in a positive manner. With three losses in a row, the dream start that Darussafaka had at the start of the Euroleague season has quickly diminished. They need to snap out of their loss of form and one way in which they could do this is to take advantage of being the team that draws the most founds, 24. However, one problem with this is that if you don’t take your chances, they hold a 69.6% record; you are going to regret it. Semih Erden and Oguz Savas are highly experienced players and the Istanbul side can get out of their bad run of form but they’ll need to start improving soon. The hosts are clear favourites for this game and they can be found at -6.5 with odds of 1.90 for this game. If you have an interest in the Over/Under market, you should look to go OVER 152.0 at odds of 1.90 on Thursday evening. Bet Now!